A little over three weeks has passed since Naveed Ayaaz of the refuted Madeenahdotcom (with liars among them) and IslamNelson engaged in their ridiculous outlandish public outburst against the Salafis of Nelson, Manchester, and even as far as Birmingham. Our German brothers (Wegerdesalaf), SalafiCentre and myself have since responded to clarify the reality of their affairs and to dispel their feeble attempts at attacking the Salafis, who call to the religion of Allah freely upon clarity, without restrictions or conditions. And perhaps that is what actually infuriates them; the fact that they must remain publicly silent on deviated conferences hosting al-Maghrib and al-Kauther speakers, as well as deviated individuals being advertised under their noses, and upon the likes of al-Ma’riby and al-Halaby; all in order to maintain their alliances and positions! This is something they re-package as “wisdom in dawah” [!] whilst desiring to keep their fingers in all the pies and proclaim that they are the Salafis! After the initial week of boisterous tweeting from IslamNelson and their dawahman (the crazed tweeter Abu Mus’ab Naman); including private messages sent to me from them, boldly stating to the effect that ‘everything was coming out into the open'[!] (and it certainly has, although I’m sure they didn’t expect they themselves would actually be the ones exposed), they have retreated (clearly without a choice) into their shells after seeing the barrage of clarifications from the Salafis exposing the pitiful sold-out methodology they are upon. However, lo and behold, who emerges from the gloomy shadows of the rat-infested, vomit-reeking alleyways – at the very moment that Abul-Abbas Naveed Ayaaz, IslamNelson, the crazed tweeter Abu Mus’ab Naman and their hizbee allies of Masjid as-Sunnah Cheetham Hill (yes, the ones who cut the phone-line on one of the Salafi scholars of our time, Shaikh Rabee – yet apparently, it reaches us they still claim to be Salafis loving the scholars [!]) are all left speechless at the clarity of the Salafi methodology slicing their “methodology” piece by piece before their eyes…? Who emerges, but none other than their secret agent, the despicable, humiliated and trodden-upon fetid racist “Dawaman”! Indeed, the racist secret emailer has been deployed in their hour of need (please refer to Catastrophe of Logic – Secret Identities Marooned for contextualisation of his loathsome affair). Firstly, before continuing, take a moment to consider just how childish, pathetic, degrading, cowardly, deplorable and imbecilic an act it is for someone to create a “top secret covert agent” with a “top secret undercover” email address to match! All that remains now is for Naveed Ayaaz’s allies to provide their agent with a faked library card and their secret identity will be in no threat of exposure even when using the public library; which would be advisable considering his level of English would struggle to pass him through primary school (….in his latest email he writes that I “seeked” help from the Hizbees in the past [!]). Perhaps the Hizbees of Masjid Sunnah should review his emails more carefully before they are distributed in future, although understandably in a fit of rage at seeing his Hizbee associates being dismantled, he may well have “seeked” to send that out hastily whilst still seeing the proverbial red mist. By Allah, we ask, how low are the Hizbiyyoon willing to go? Is there even a bottom to their pit of Hizbiyyah? To email people from a secret fake email shuddering from fear? All the characteristics of nobility, trustworthiness, honour, dignity and integrity disposed of in the weekly garbage collection…we seek refuge in Allah. The amazing thing is…they simply do not care…at all! The Hizbees of Masjid Sunnah have been refuted time and again over their use of a “secret emailer” yet they simply persist. Abu-Abbas Naveed Ayaaz has been admonished regarding it, yet he turns a blind eye! And in fact what is even worse than that, is that he criticises the Salaficentre for having refuted the racist Dawaman’s secret identity! Stating that the refutations were essentially a waste of time! His exact words regarding them were that they “don’t even make sense” – Allahu Akbar! The Salaficentre defends the honour of a Salafi brother against a racist secret emailer from the affiliates of Masjid Sunnah and Naveed Ayaaz in his blind defence of those Hizbees even belittles that [! ]… the question is – why? Why are Naveed Ayaaz, IslamNelson, Masjid Sunnah Cheetham Hill all so keen to “turn a blind eye” and bury their heads in the sand despite fully knowing that a secret racist [who refers to our Salafi brothers as “dark…jungle boy…sheep and a couple of camels immigrated from Libya” just to mention a brief example of his racist filth] from among them is at work? The answer is simple. 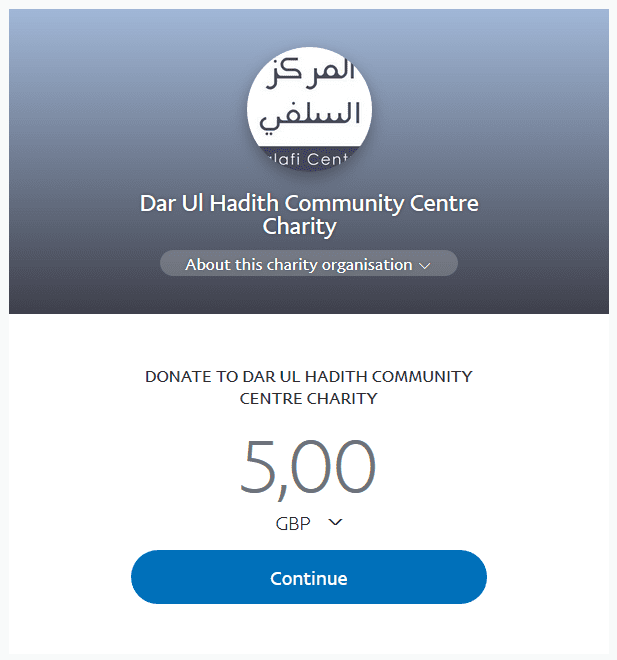 Naveed Ayaaz, Abu Mus’ab Naman Yasin – the crazed tweeter who IslamNelson can thank for having started the exposition on them – IslamNelson and Masjid Sunnah Cheetham Hill have been left speechless and unable to respond. Therefore the deployment of a secret identity, a racist one at that, to distribute complete and utter nonsense on their behalf is a somewhat convenient arrangement, a beautiful marriage indeed. The “secret agent” sources the information from his Hizbee allies so that he can send out what are apparently supposed to be “responses”, or at least that is our best guess regarding his emails, although we have not “seeked” to investigate or analyse his filth in any great detail. We would advise that Abul-Abbas Naveed Ayaaz, Abu Mus’ab, IslamNelson and Masjid Sunnah fear Allah and advise their racist secret agent to refrain, although that is not anticipated. Of course all these individuals will continue to claim they have “absolutely no idea whatsoever” who the secret agent is! Neverthless, he is emailing on behalf of them, “responding” on behalf of them, “writing” on behalf of them… so if they do not agree that a “secret racist agent” should be doing that on their behalf, then all that is required is a simple statement to declare their innocence of him…what exactly is complicated about stating that they have nothing to do with a secret racist agent and that they do not agree with his activities? The complication is that such a statement would nullify their last-chance at a pathetic whimper of a response, via a secret racist agent! This is the reality of such people! Pitiful graduates and pitiful dawah organisations and their allies. We will keep the readers informed of how many “responses” are sent by the racist secret agent of Masjid Sunnah affiliation – with one already sent yesterday. Since the cowards of Masjid Sunnah, IslamNelson, Abul-Abbas Naveed and Abu Mus’ab Naman Yasin have themselves been muted, they silently and conveniently allow their top secret racist agent to operate on their behalf. A simple scoring system has been devised [very simple, so as not to overload the mental faculties of the secret agent]. Every email sent from their secret agent scores a point, if they reach 10, they will have the “degradation” of being crowned as complete and utter cowards- a cowardice and shamelessness beyond words. So will we receive such a statement from them declaring their innocence of the racist who ascribes to them and speaks on their behalf?…Please, no-one hold your breath.